With the team-by-team preview out of the way, it’s time to take a look at some of the individuals worth keeping a close eye on this college hockey season. The level of talent across the college ranks is as high as ever, but there is a number of intriguing first-year players that are worth highlighting. Over the last several years, freshmen have made a larger impact on the college game. Since a four-year stay in college is becoming increasingly rare for the higher-end players, the best freshmen tend to land significant roles rather immediately. Additionally, since many are fresh off their NHL Draft season, there is a little more of a spotlight on them. Last year, freshmen made a huge impact. One such rookie was Michigan’s Jacob Trouba, who was the top-billed player on our Freshman 15 list and dominated the competition last season. He impressed the Winnipeg Jets enough for them to urge him to go pro after just one college season. Tuesday night, Trouba made his NHL debut and made an immediate impact once again. The 19-year-old defenseman scored his first NHL goal, which tied the game, and was on the ice to protect a one-goal lead, shorthanded and against an extra attacker. In total, he logged 25:02 of ice time and also added an assist to make one of the best NHL debuts you’ll see out of a defenseman. So is there a player that can make that kind of impact this year? Probably not that much, but there’s a great group of high-end talent at every position. So here’s a look at United States of Hockey’s Freshman 15. Lists like these are always tough to make. It’s so difficult to predict how a player makes the jump from wherever he is to college hockey. The fact that there are players as old as 24 or 25 on some collegiate teams makes the transition tougher, particularly for true freshmen. Also, there are usually a lot of surprises. Riley Barber, Danny O’Regan, Jon Gillies and Connor Hellebuyck were probably among the best first-year guys in the country last season and none were on the list last year (which I look back and ask myself, “HOW!?”). With that in mind, the first-year guys I picked to spotlight for the Freshman 15 I find most intriguing coming into the season. I’d expect most of the guys on this list to make some kind of impact on their team this season, but a few are here due to potential long-term impact on their programs as well. Additionally, I decided to cast a bit of a wider net with “Others to Watch” since I think there are a lot of guys in this freshman class worth getting to know a bit better. Players not listed in any particular order, click on photos for official bio. Thatcher Demko — G — Boston College — It’s not often a Division I powerhouse turns to a true freshman in net, but that appears to be what the Eagles will do this season. Demko is actually younger than a true freshman, as he accelerated his schooling to graduate early and attend BC this year. This is a lot for an 18-year-old netminder to shoulder, but the big kid from San Diego, Calif., looks up to the challenge. He is also in his first draft-eligible season and was designated as an A-rated prospect by NHL Central Scouting in the preseason. 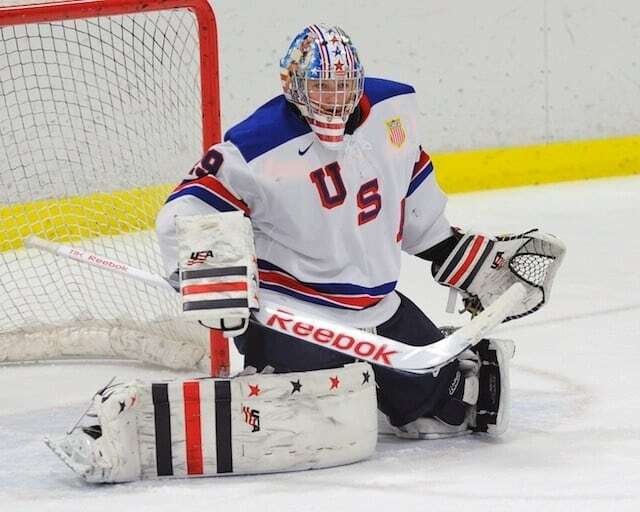 The benefit for Demko coming into BC this year is that he played a lot of games against college competition while a member of the U.S. U18 Team last season. That team actually did abnormally well against college foes. With Demko in the net, the U18s beat Michigan, Michigan State, Penn State, Merrimack Nebraska Omaha and Alabama Huntsville. They also tied Notre Dame and New Hampshire. So Demko’s seen college shooters already and done well. After Jon Gillies’ and Connor Hellebuyck’s performances last season as freshmen in Hockey East, it’s definitely possible for a first-year guy to make a large impact. If Demko is on his game, BC is in really good shape. NHL Rights: Draft-eligible in 2014. Coming soon: United States of Hockey’s Top 25 Players to Watch heading into the 2013-14 college season. This entry was posted in American Prospects, NCAA. Bookmark the permalink. What does it say about a coach when he’s able to attract the son of another team’s assistant coach to his program? Or what does it say about the coach who is unable to get his assistant’s kid? Some fathers and sons don’t want that situation. 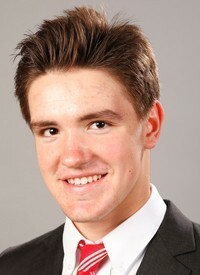 At RIT, the coach’s son plays for Yale and the assistant’s son is a freshman at SLU this season. On the other hand, the same assistant’s daughter played for RIT. Army coach’s son is at Mercyhurst. Air Force coach’s son played for Minnesota, but daughter was at Air Force. Some kids want to go away to school, or play for a more visible program. Some (including me) would make the argument Ausmus is the 3rd best freshman defenseman on his own team (Thompson, LaDue). Thoughts? I think over the longer term, both Thompson and LaDue are better prospects, but in terms of freshman impact, Ausmus is a bit more physically developed and his defensive capabilities stand out most to me. Both LaDue and Thompson have really solid puck-moving skills, but I think both will take time to be effective in the college game. I really don’t think you can say the early departures from DU were caused by Gwoz’s firing. >Nick Shore was on the King’s top 3 to sign. They even burned a year by having him become one of the “Black Aces”. Older brother, Drew, also signed after 3 years. He had 1 year to skate on the same team with younger brother, Quentin, who is still at DU, . Like it or not Nick was leaving. >Scott Mayfield signing with the Isles was not a surprise. Most DU fans assumed he would be gone after 2 years at DU. >Juho Olkinuora was ready to go back to Finland when Steve Miller offered a chance at DU. Jussi went from a little known, late, non-scholie recruit as the 3rd goalie to starter in just a few weeks. (Brittain recuperating from surgery, out until February and Murray suffers a groin injury after just a few games) He earned a scholie and beat out both incumbents as a sophomore. Became a hot prospect. Financial decision, chance to play in the NHL, coach fired. Perhaps some of all three. The recruits may be different story entirely. Ausmus decommited and chose North Dakota EEK! Ray Pigozzi ,now at UMass, was penciled in for 2013 or 2014. 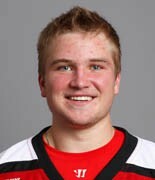 Landon Smith, USHL Chicago Wolves, the same. Gwoz leaving or Montgomery deferring ?